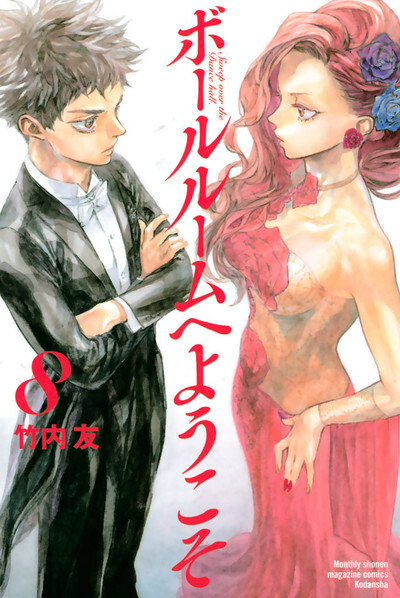 According to the February 2017 issue of Kodansha's Monthly Shonen Magazine, Tomo Takeuchi's Ballroom e Youkoso manga is getting the anime adaptation. The story of manga focus on Fujita Tatara, an ordinary middle school student, who is saved by a mysterious man in a fight with delinquents. After that, the man surprisingly takes him to a ballroom dancing class! While being inspired by a girl dancer who goes to that school, Hanaoka Shizuku, and her partner, a genius dancer, Hyoudou Kiyoharu, Tatara starts decicating his youth to dancesport!! The Manga was serialized in Monthly Shonen Magazine from 2011 and was published in eight volumes.